Describing the situation at her convent in the Bab Touma district of Damascus’s Old City, Sister Annie Demerjian said that a rocket landed very close by and that had it exploded she and some of the university students “would have been wounded or killed”. Speaking February 21, 2018, to Catholic charity Aid to the Church in Need, Sister Annie said that the windows of the hostel where she works were shaking because of the bombs and that in response the students evacuated to the relative safety of the corridors. 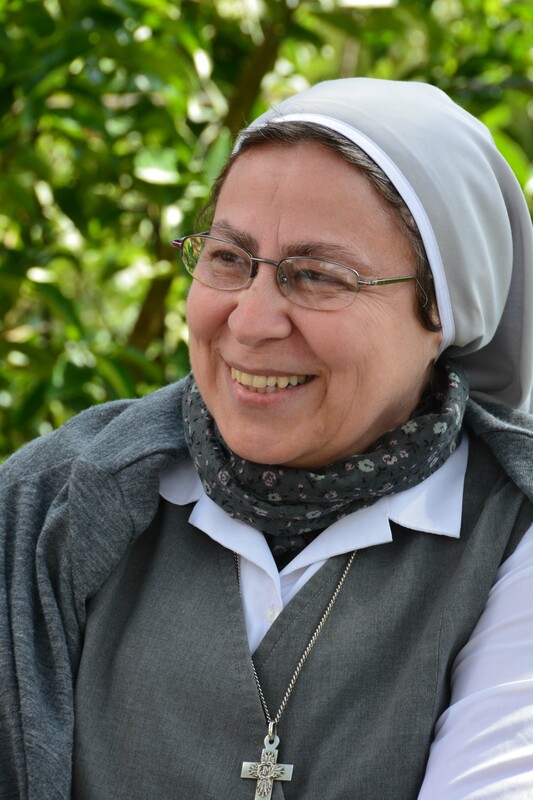 Sister Annie, a leading project partner for ACN, which provides emergency and pastoral help in Syria, described how another member of her congregation, Sister Manal, ran through the streets to dodge the bombs and somehow made it back to the convent unharmed. Sister Annie’s comments come after a sudden upsurge of violence in Damascus including the rebel-held Eastern Ghouta, with reports of more than 250 people killed in the last three days. The Sister quoted unconfirmed reports of up to 51 rockets landing in and around Bab Touma. Church sources have told ACN that yesterday in Damascus’ President Bridge area, Al-Wasa’a, Burj Al Rous and Abbasid Square many were killed and dozens were injured. “At 3.30pm a rocket landed on the roof of the Patriarchate close to us. She said that at about this time fellow Religious of Jesus and Mary nun Sister Manal was running back to the convent in Bab Touma from the school where she teaches. Describing the situation today as calmer, Sister Annie said many schools had now closed even though it is not officially holiday time. She said: “We have to carry on. Life is stronger than death. We don’t know how long this violence will continue but it can’t last forever. “The Lord has been good to us. So far, none of us Sisters have been hurt but so many others have suffered. Syria is a priority country for Aid to the Church in Need and last year the charity fulfilled more than 140 projects there – most of them emergency help including food, shelter, and medicine – but also pastoral help, support for Sisters, Mass stipends, repairs to churches and convents.